Corsair is known to be one of the best brands when it comes to AIO liquid coolers for CPUs. They have top-notch build quality, excellent cooling performance, easy installation, and the industry-leading 5-year warranty. 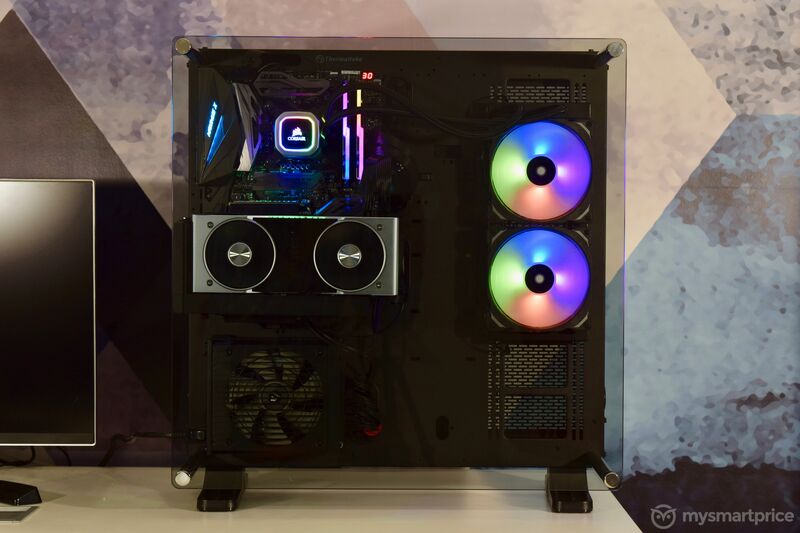 However, its AIO liquid coolers were lacking behind in one criteria — the RGB lighting. For most people nowadays, RGB lighting is as important as the cooling performance itself. 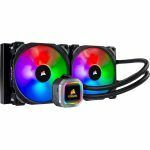 The previous 240mm and 280mm AIO liquid coolers from Corsair had RGB lighting, but it was only in the pump. The radiator fans did not have RGB lighting. Also, the RGB lighting in the pump was not fancy enough compared to that of the AIO liquid coolers from brands like NZXT and Cooler Master. 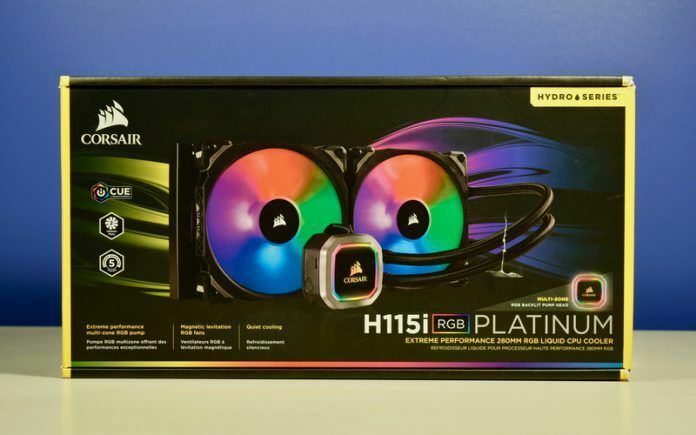 To address the RGB lighting issues and to bring a better cooling performance, Corsair has launched the H115i RGB Platinum. It has an MRP on Rs. 19,499, but it is selling for around Rs. 11,500 in the local stores. 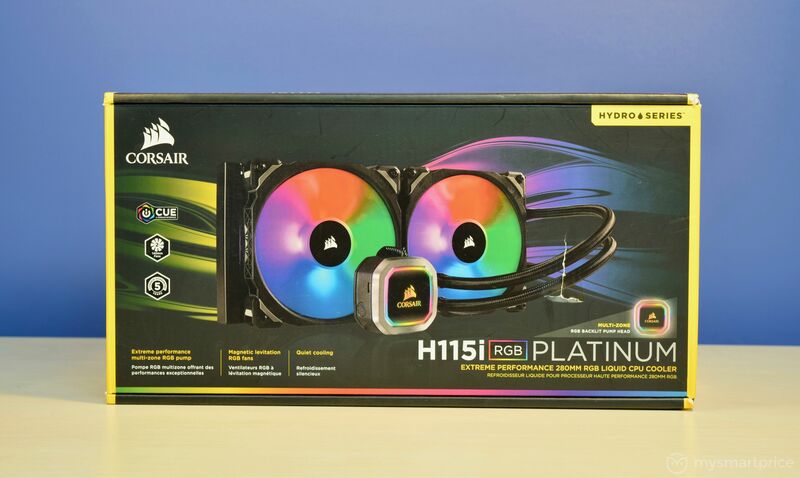 The Corsair H115i RGB Platinum has a 280mm radiator. Corsair has bundled the cooler with its flagship fans, the ML PRO RGB 140mm. These fans have Magnetic Levitation technology due to which they can produce an industry-leading high air pressure of 4.2 mm-H2O. The higher the air pressure is, the better the fan can move the air through the radiator fins. These fans have 4-zone individually addressable RGB lighting, whereas the pump has a 16-zone individually addressable RGB lighting. Let us have an in-depth look at the H115i RGB Platinum’s performance. The Corsair H115i RGB Platinum has a fairly simple installation process (one of the easiest I would say), thanks to the pre-applied thermal paste and its easy mounting process. I think for most people, the pre-applied thermal paste is a better solution rather than the user him/herself applying it manually. The manual application of thermal paste can sometimes go wrong with most people as they are not experienced at this task. A poor thermal paste application can then lead to uneven cooling. As the H115i comes with a pre-applied thermal paste, you can rest assured that the thermal paste is covering your CPU lid evenly. The pre-application of thermal paste saves you from the trouble of applying it yourself manually and risking it to go wrong. Let us now have a look at the installation itself. You get a back plate with support most CPU sockets including Intel’s 115x, 2011, 2066, and AMD’s AM3, AM2, AM4, and TR4. First, you will have to place the backplate behind the motherboard by sliding and adjusting the nuts in it according to your CPU socket size. You will then have to put the stand-off screws from the top of the motherboard through the back plate and tighten them. The last step in installing the pump would be to place the pump unit on top of the stand-off screws and tighten the unit by placing thumbscrews on the stand-off screws and tightening them firmly. Once you have installed the pump on the CPU, you can put the fans on the radiator with eight mounting screws. 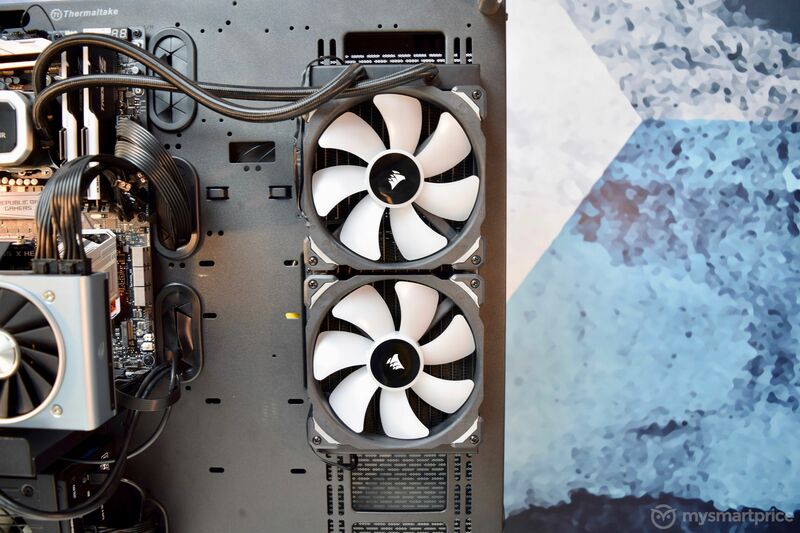 Once fans are mounted, you can then mount the radiator in your case with eight bundled screws. The last step would be to connect the cables. Speaking of which, the H115i comes with Corsair Link for you to monitor and control the AIO cooler from your PC. Starting with the H115i’s radiator, it has an aluminum core. A copper core would have been better for heat dissipation, but at this price point, most AIO coolers have an aluminum core. Therefore I wouldn’t complain. The radiator unit itself is heavy and feels solid. It has a high-quality black finish over it. The holes for mounting fans and the radiator have proper cutouts. Compared to the Cooler Master ML240L that we were using earlier, the H115i’s radiator has a better build quality. Coming to the pump, it is heavy and feels solid. The bottom plate as you might expect is made out of copper. The outer construction is plastic, and it has a glossy finish. 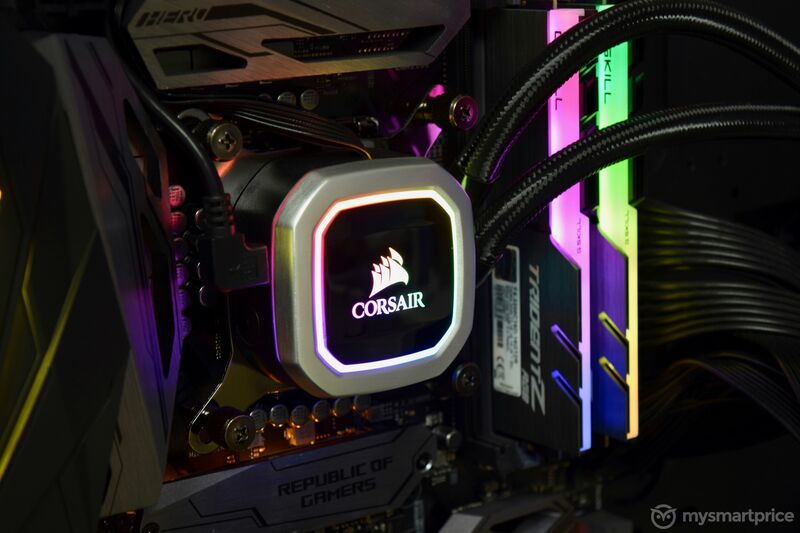 There are two RGB rings on the pump — one at the front surrounding the Corsair logo and other on the side. The side ring plays an important part in illuminating the area around the CPU block. The pipes between the pump and the radiator have nylon braiding over it, and therefore they feel sturdy. The pipe length is more than adequate. 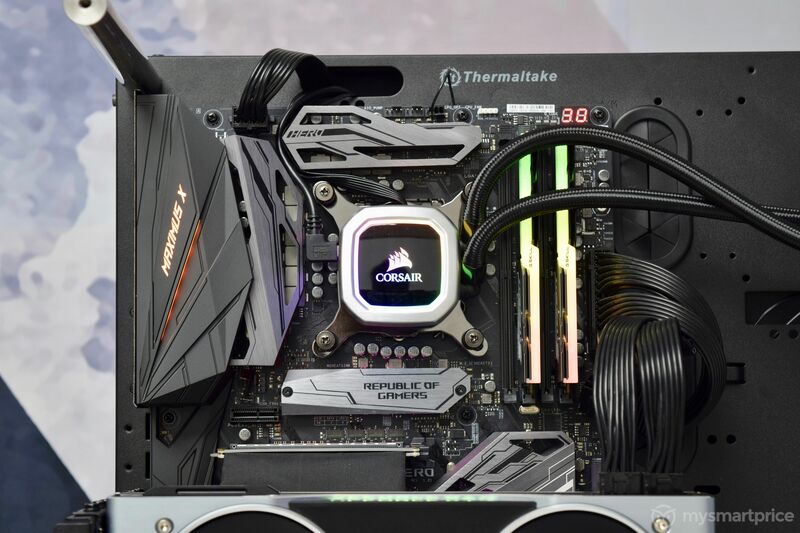 We have the Thermaltake Core P7 PC case, in which, the distance between the motherboard area and the radiator mounting area is quite long, as the case is made for custom-loop liquid cooling and not AIO liquid coolers. The Cooler Master ML240L AIO cooler that we had earlier did not have enough pipe length for us to mount the radiator on the provided radiator mounting space in the case. Therefore, we had to install the radiator beside the radiator mounting space as a temporary solution. However, the pipes of the H115i are long enough, and therefore we were able to mount it properly on the provided radiator mounting area. Same goes with the power and data cables. They are long enough, which makes cable management easy. Moving to the looks, the H115i looks beautiful with its RGB lighting. The fans have a 4-zone individually addressable RGB lighting, and the pump has a 16-zone individually addressable RGB lighting. 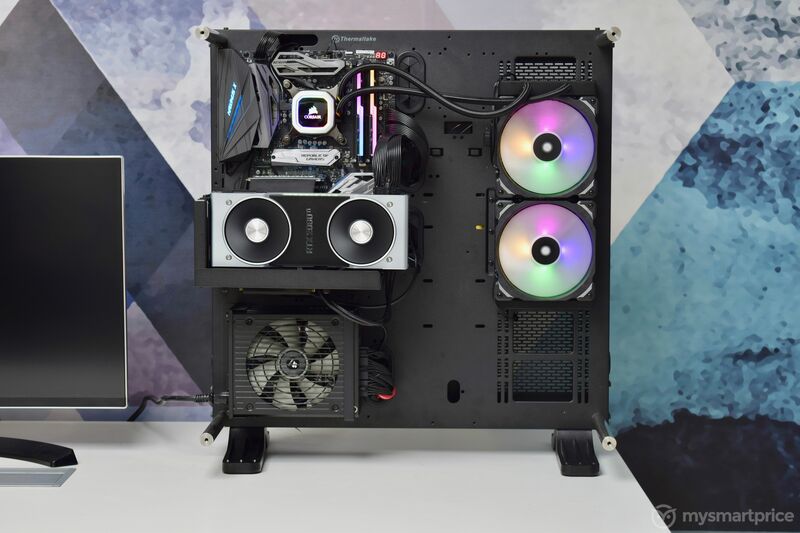 Unlike with many AIO liquid coolers with RGB lighting, where the light looks dull, the H115i has bright lighting in its pump as well as in its fans. There are also a ton of lighting modes that you can access with the iCUE software. However, one sad part is that the H115i does not support lighting synchronization with any motherboard brand. Therefore, you will not be able to synchronize the lighting of your motherboard and other parts with that of the H115i. It is not a deal-breaker, but it is a feature that most other AIO coolers have which is sorely missed here. Before we discuss temperatures, let me tell you that apart from the manual mode, where you can set the fan speed and pump speed manually as per your liking, there are three pre-defined cooling modes; Balanced, Extreme, Quiet. In each mode, the fan speed and the pump speed will be adjusted automatically depending on the CPU temperature. Each mode has its maximum and minimum points. Have a look at the chart below for the RPM ranges of each mode. The Corsair H115i RGB Platinum has an excellent cooling performance as I expected. The temperature hit a maximum of 50-degree Celsius after one hour of AIDA 64 stress test. Even when overclocked to 5.1GHz, the temperature hit a peak of 73-degree Celsius, which is superb. The CPU did not thermal throttle at any point. In comparison, the Cooler Master ML240L that we have, went up to 57-degree Celsius in AIDA 64 stress test on stock frequency, and it hit 84-degree Celsius when overclocked to 5GHz. Coming to the sound levels, the pump makes almost no noise even at its highest RPM. As for the fans, they stay extremely silent up to 1000 RPM. They start making a slight amount of noise from 1000 RPM to 1400 RPM, but even then the fan noise not audible unless you pay attention to it. However, once you go above 1400 RPM, the fan hiss is very noticeable. Comparing to the Cooler Master ML240L that we have, the Corsair H115i makes a lot less noise. We have just started reviewing PC parts. Therefore, we do not have performance figures of other AIO liquid coolers. We are still building our database. Until then you will have to bear with us. That being said, I have used many AIO liquid coolers recently, and I can confidently say that the H115i RGB Platinum has one of the best cooling performance among all the 280mm AIO liquid coolers. Should You Buy Corsair H115i RGB Platinum? 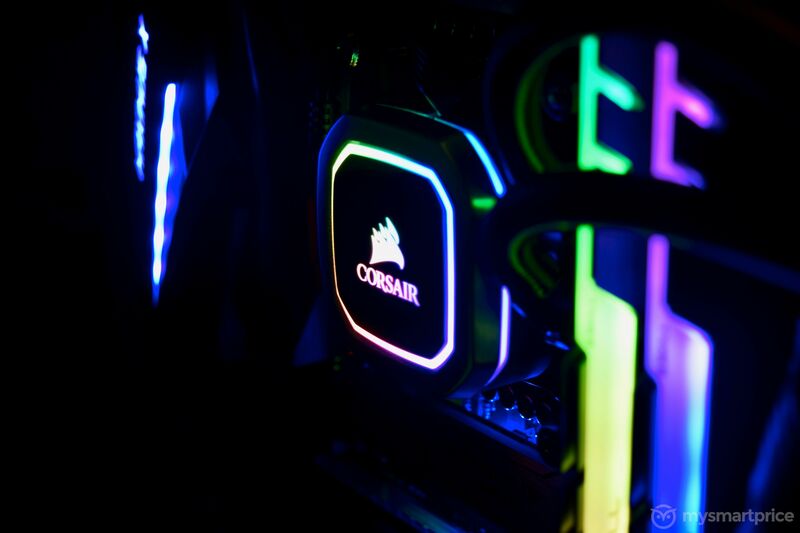 The Corsair H115i RGB Platinum has an excellent cooling performance for its size. The unit also operates very silent; the same can not be said for most other AIO liquid coolers in the same price range. The H115i RGB Platinum also scores big when it comes to the looks, thanks to its beautiful design and bright, individually addressable RGB lighting. The only thing that the H115i RGB Platinum lacks is the lighting synchronization with motherboards. However, I don’t think it is a deal breaker. If you want a top-notch cooling performance and also individually addressable RGB lighting for under Rs. 12,000, the Corsair H115i is the best option. 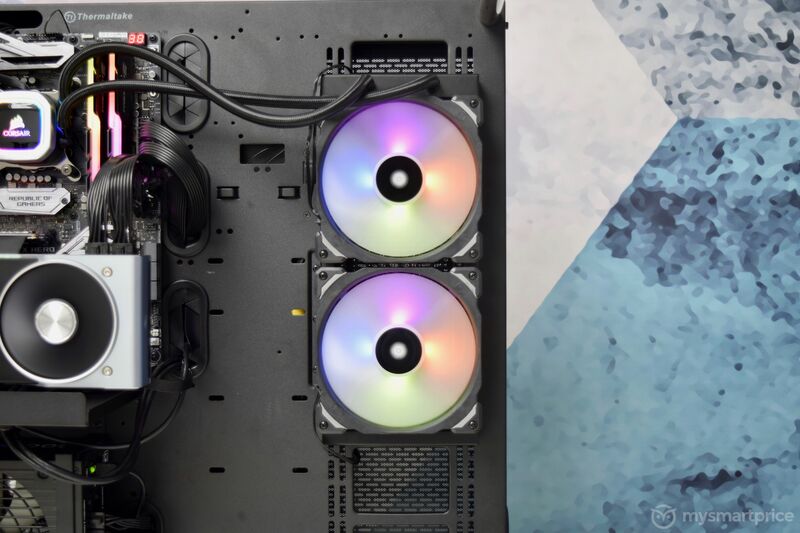 However, if you can give up on individually addressable RGB lighting, you can get a 360mm radiator (provided that your case has space for it), which will most probably give you better cooling.